There are no shortages of wars in the Middle East; just a selective application of sympathy and condemnation. On July 20, 2016, U.S.-led forces killed dozens of civilians, including children who were in their homes. That strike brought the total Syrian civilians killed by U.S.-led forces to over 100 people in July. The story was barely covered in mainstream media like the New York Times, where one would have to dig inside the paper for reports of the killings. The liberal paper continued to protect its liberal president, especially as his former Secretary of State Hillary Clinton campaigned to become the next U.S. president. The United Nations, whose headquarters is hosted in the United States, also remained almost completely silent on the mass murder of civilians. 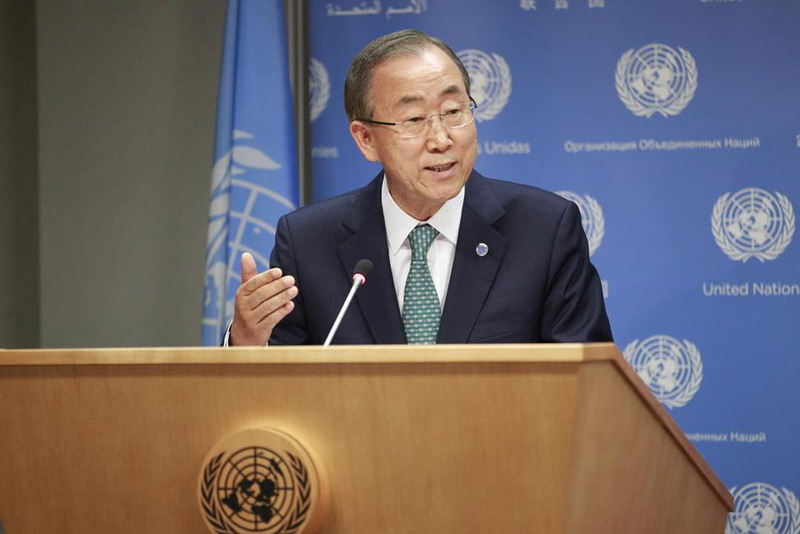 The United Nations Secretary General (UNSG) Ban Ki-Moon did not utter a word. Instead, his deputy spokesman, Farhan Haq, spoke about the civilian deaths in passing, the middle of various other reports. He never mentioned that the killings were committed by U.S.-led forces. The approach of the UN could not be more different than its approach to Israel two summers earlier. “I have also discussed Israel’s legitimate security concerns with Prime Minister Netanyahu and Defense Minister Ya’alon, and I am going to continue my meetings with President Peres as well as other Ministers. I once again strongly condemn the indiscriminate rocket fire launched by Hamas and Islamic Jihad from Gaza into Israel. I am also alarmed by Israel’s heavy response and the corresponding high civilian death toll. Since this Council was briefed on Sunday the violence has reached even more alarming levels. I want to stress how deeply proud I am of our many UN colleagues, with UNRWA in the lead, courageously assisting the people of Gaza under such difficult circumstances. They are providing crucial relief and shelter to civilians in imminent danger. The escalation of violence is now acutely affecting UNRWA’s regular operations. A total of 23 UNRWA installations are closed as a result of the conflict. A total of 77 UNRWA installations have been damaged since 1 June as a result of the conflict. The premises have been used to store weapons. This is unacceptable. Today, about 100,000 people – more than 5 percent of the population of Gaza – are seeking shelter with UNRWA. In the past, our premises in Southern Lebanon and Gaza have been hit with serious loss of life. I call on Israel to exercise particular care to avoid another unfortunate incident…. This is the third time as Secretary-General that I have had to come on an emergency mission to the region to help end a crisis. That means the children of Gaza are now living through the third major assault in the last five years of their young lives. The horror and upheaval is beyond imagination. The cycle of suffering must end. Ban Ki-Moon never recognized that almost 80% of Israelis were being fired upon by Hamas rockets. He did not recognize the Israeli civilians hiding in shelters. He did not remember the children of Israel “living through the third major assault in the last five years of their young lives,” but only the Palestinian Arabs. He did not seek global support for the security and stability of Israel. Why is the UNSG’s so deeply engaged on behalf of Palestinian Arabs? Why does Ban Ki Moon continue to call out Israelis? In comparison, why doesn’t he even mention the United States’ killing of 100 civilians? As detailed in “The United Nations’ Adoption of Palestinians, Enables it to Only Find Fault with Israel,” the UN has a unique relationship with Palestinian Arabs. The UN has become the guardians to these stateless Arab wards. As the UN has set up unique institutions just for this group of Arabs, the UN is put in the position of always defending them. The UN shelters and protects the Palestinian Arabs, so attacks on them result in attacks on the UN. The voices that the UN hears each day are of Palestinian Arabs, not Israelis. As such, The UN Can’t Support Israel’s Fight on Terrorism since it Considers Israel the Terrorists. This is in sharp contrast to every other conflict in the world, where the UN can act as an unbiased neutral party. The comparison becomes more dramatic when the UNSG deals with permanent members of the UN Security Council, or other countries where the UN seeks to gain influence and money. Such as Saudi Arabia. In other words, the UN is not an arbiter of right-and-wrong. It is a political beast that must move towards money and power. To further underscore the point, the United Nations reported on the state of war in Afghanistan on July 25, 2016. The first half of 2016 saw the greatest number of civilian casualties – including 1,509 children – since US President Obama took office in January 2009. The total number of civilian casualties since 2009 stood at 63,934, a number that the report claimed was very conservative. The US-led war broke apart a country. The US’s pro-government forces were responsible for 40% of the civilian casualties – and growing. The first six months of 2016 saw a startling increase of 47% more civilian casualties from pro-government forces, even while casualties from the anti-government forces saw a decline. Did the UN ever highlight the phone calls, leaflets dropped, “knock on the roof” ordinances that Israel deployed in Gaza? A door-to-door effort without aerial bombardment to minimize civilian casualties at great risk to the lives of Israeli soldiers? That is the sorry state of the United Nations. Rich and powerful countries, and those with large voting blocks (like the block of Islamic countries) get to dictate the agendas and avoid condemnation, while small countries with a fraction of the budget get picked on. In the case of Israel, the dynamic is compounded by a biased judge. Yet remarkably, a call that should be easy for progressives – fighting back against power and money – is lacking. US progressives should rally to Israel and against the UN. Instead, they united with the Boycott, Divestment and Sanctions (BDS) movement against Israel. It is well past time for an overhaul of the United Nations. It is also time for progressives to rethink their anti-Israel attitudes. 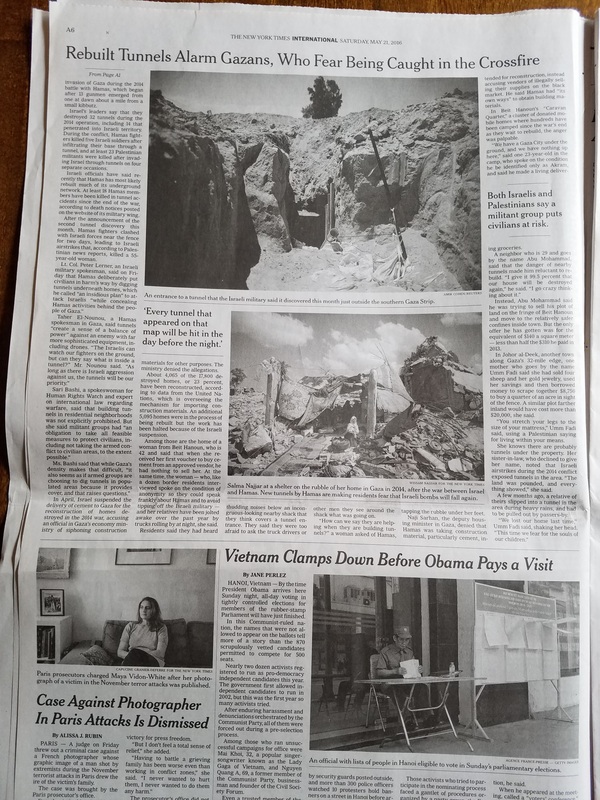 On May 21, 2016, the New York Times ran a front page story “New Tunnels Instill Fear on Gazan Side Too.” The front page story continued onto page A6 with two black-and-white pictures of attack tunnels dug from Gaza into Israel. 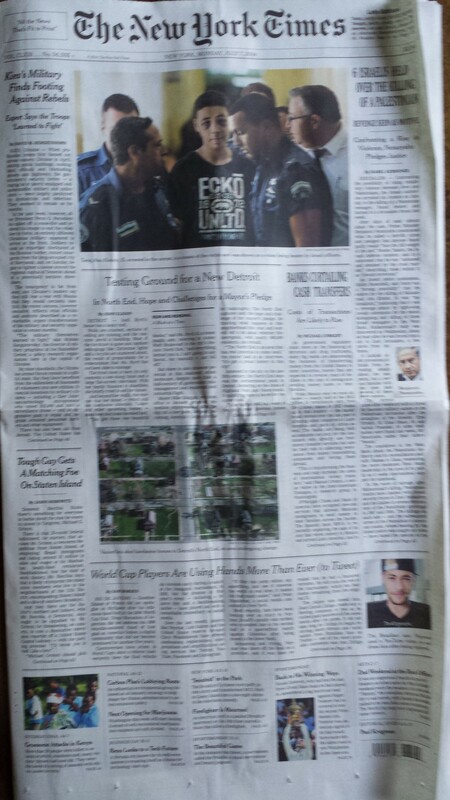 New York Times front page and page A6, May 21, 2016.
or of Gilad Shalit who was abducted via a tunnel. 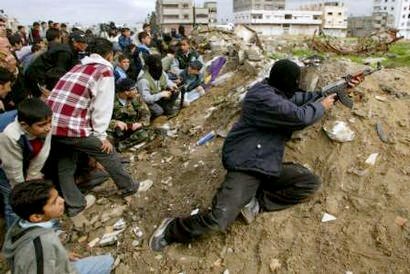 The story spoke of the fear of Palestinian Arabs living in Gaza because Israel might seek to destroy the Hamas tunnels. The article described the “parallel anxiety” of Palestinian Arabs and Israelis stemming from the tunnels. The Times article failed to mention that Hamas was democratically elected to a majority of parliament by these same Palestinian Arabs, based on a public platform that called for destroying Israel. For their part, the Israelis had no role in bringing Hamas to power. The article correctly pointed out that “the tunnels were the prime rationale Israel gave for its ground invasion of Gaza during the 2014 battle with Hamas.” However, back in 2014, the New York Times did not think much about those attack tunnels. As detailed in “The New York Times’ Buried Pictures,” it took three weeks into the 2014 war for the Times to produce any pictures of the Hamas tunnels, even though multiple news sources had already been publishing pictures of them. 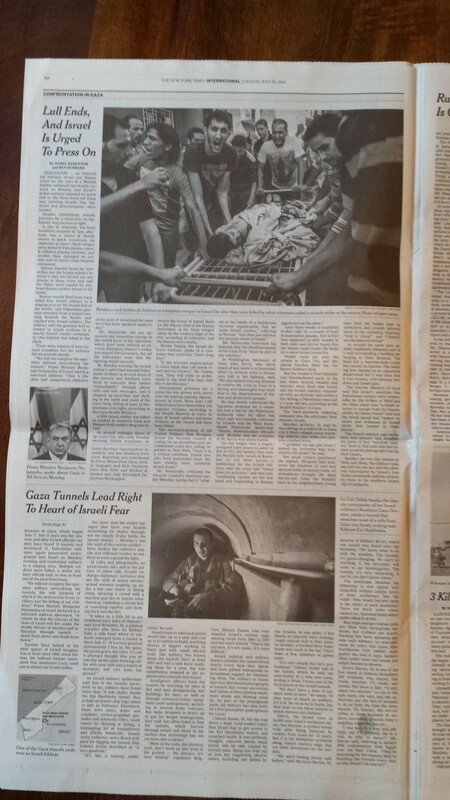 When the Times finally decided to write about it in an article called “Tunnels Lead Right to Heart of Israeli Fear,” it published the story underneath a picture of Palestinian Arabs mourning. “Overcome with Grief: At a morgue in Gaza City, Palestinians mourned the arrival of children killed in the Gaza conflict.” The follow-up to the article contains a large black-and-white of Palestinians mourning, and only beneath that, was there a smaller black-and-white picture of a soldier in an attack tunnel. One would think that the Israelis were completely paranoid for no reason and dreamed of scenarios that could not take place in the real world. Roduren seemed to suggest that the Israelis then used the tunnels to advance a “propaganda push” to validate their invasion. For the New York Times, the war is felt in Gaza and the Palestinian Arabs’ fears are real. However, for Israelis, fears are overblown in imagined nightmarish scenarios, which the army then uses as a propaganda to conceal their over-reactions. Even when the left-wing paper can admit that both sides have real fears, it cannot lay blame for the situation on the Palestinians that elected -and continue to support – this terrorist party. The United Nations Human Rights Council (UNHRC) produced a report in the spring of 2015 about the war between Israel and the Palestinians in the summer of 2014. The UNHRC continued with a debate in June 2015 in which several “delegations strongly condemned Israel’s excessive and disproportionate military aggression against the Palestinians” including from: Egypt; Tunisia; Maldives; Iraq; South Africa; Indonesia; Ireland and Cuba. This analysis does not directly review “disproportionate force” but disproportionate defense employed by the two sides. The foremost responsibility of any governmental leadership is to protect its population. Such defense can be implemented in a variety of ways: a police force or army to maintain order; infrastructure to ensure safety; and intelligence which can guide the appropriate use of manpower and equipment. The United Nations has been developing a framework for “The Responsibility to Protect” over the past several years. In the conflict between Israel and the Palestinian Authority, only one side proactively protects its citizens, while the other side uses reactive defenses. One side assumes responsibility via using its own resources and capabilities, while the other side relies completely on outside agents. Bunkers and Bomb Shelters: Israel is unique in the Middle East in establishing a policy of bomb shelters throughout the country. 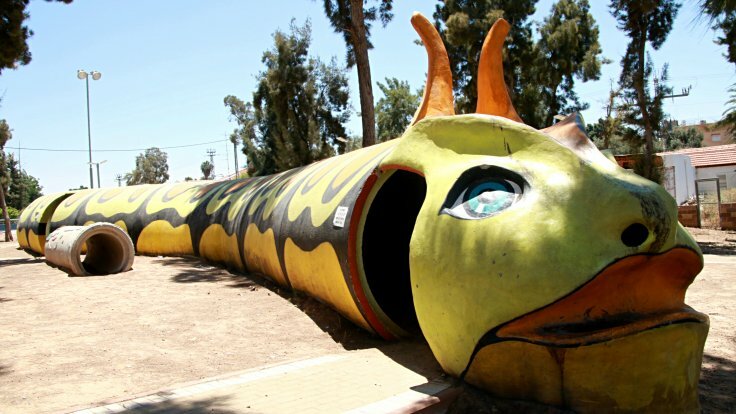 In response to being surrounded to hostile neighbors that have attacked and shelled its people and lands since its inception, houses, schools, hotels, hospitals and even playgrounds are built with bomb shelters. The Palestinians have not built shelters. Instead, they used their cement to build tunnels with which to attack Israel. Iron Dome. 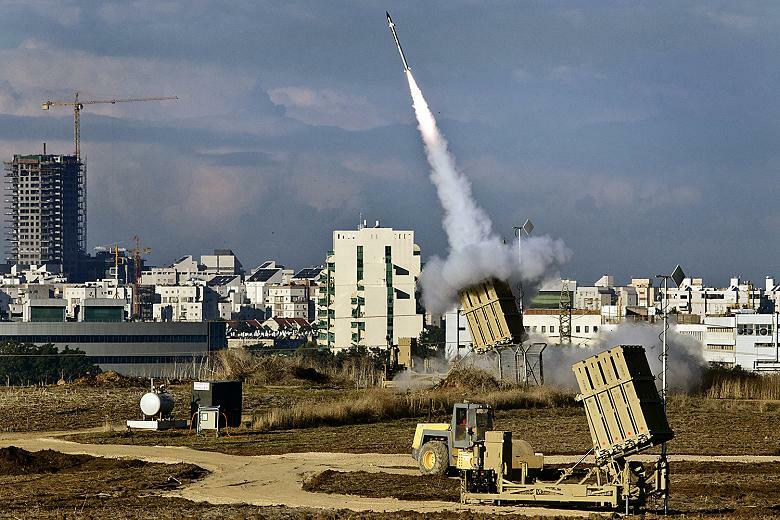 Israel developed a new missile defense system called the Iron Dome, and continues to build new air defense systems to protect the country from incoming missiles. The Palestinians have neither developed nor imported defensive systems. They have only imported offensive weaponry. Blockade of Gaza. Israel imposed a naval blockade around Gaza after the terrorist group Hamas, which is sworn to the destruction of Israel, seized the land. The blockade has successfully kept out many missiles and other arms from reaching Hamas and ultimately causing death and destruction in Israel. Security Barrier. In September 2000, the Palestinians began multi-year riots which killed over a thousand Israelis through hundreds of attacks. 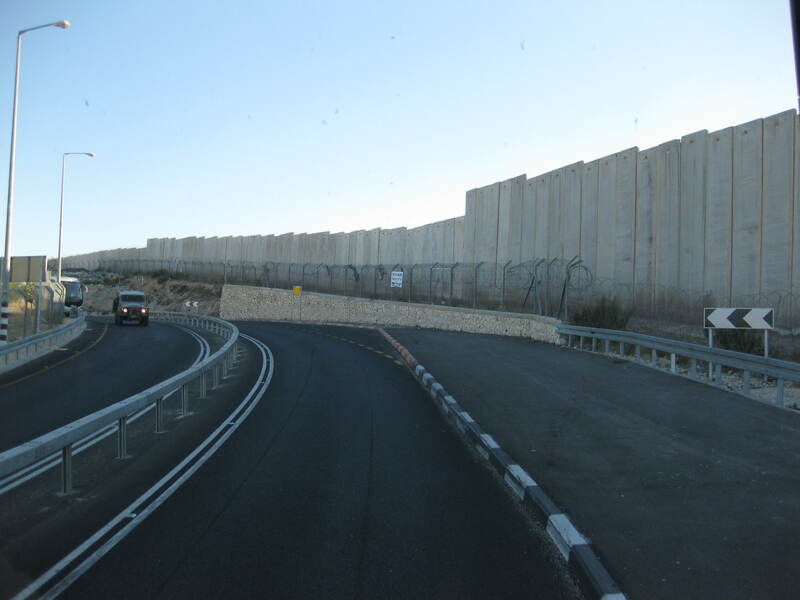 In response, the Israeli government began to construct a security barrier in 2002 to keep out terrorists who mostly emanated from cities in Judea and Samaria/ east of the Green Line (EGL). The Palestinians have not built any security barriers from the Israelis. There have been no suicide bombers going from Israel into Gaza or EGL blowing up civilians. Airport Security. Well before the world became attuned to airport security after the attacks on the United States on 9/11/01, Israel established an extensive airport security system. 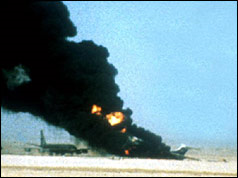 The screening of passengers, x-rays of baggage and other methods were in response to a series of airplane hijackings in the 1970s (a method of terrorism created by the Palestinian Arabs). The Palestinians do not have an airport and therefore no such security concerns. Intelligence. 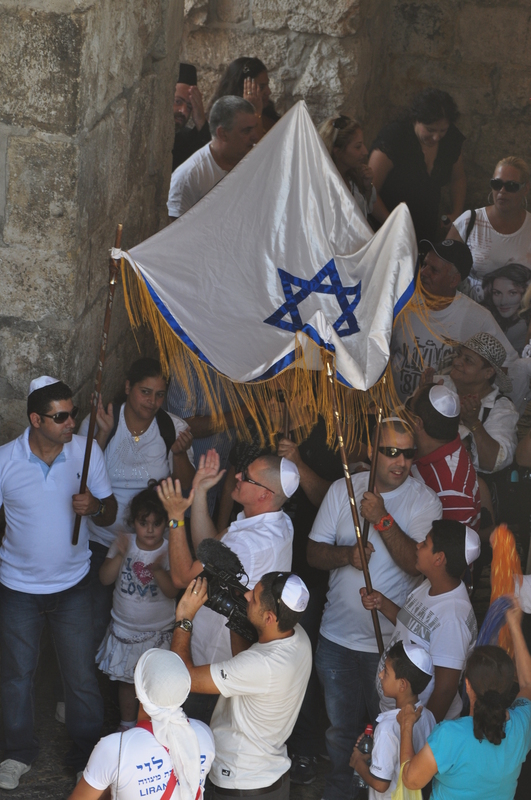 Israelis utilize a wide variety of information sources to uncover plans to attack its country. 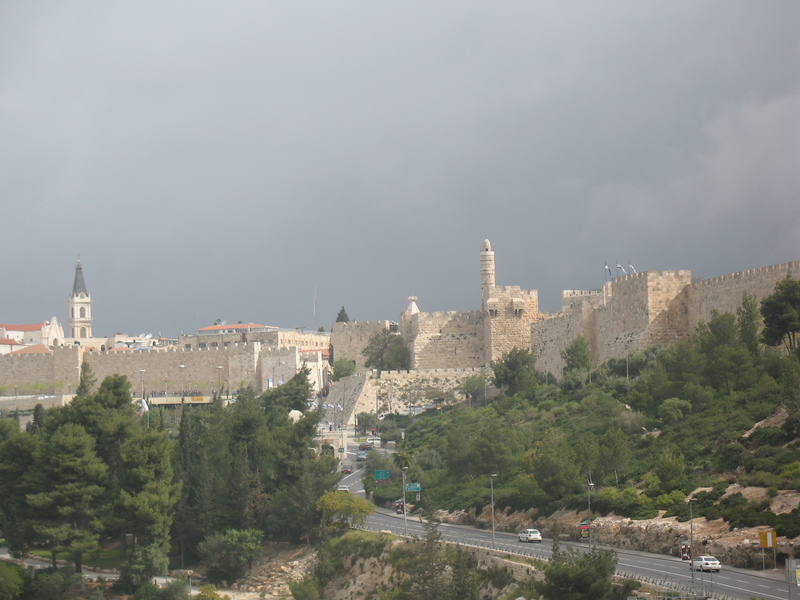 Whether through a network of Israeli spies, Palestinian informants, money tracking, wiretapping and other means, the Israelis gather information and make assessments on potential Palestinian Arab attacks. It is then able to take preventative action before such attacks occur. Civilians. As detailed above, the Palestinian Authority and Hamas have not instituted proactive tangible means of defending its people. One of the ways it attempts to defend the population is by making it nearly impossible to distinguish between fighters and civilians. Palestinian Arabs hope that Israel will not indiscriminately fire upon everyone. By forcing Israel to take time and extra precautions to target the right attackers, it slows down Israeli defenses during battles. Destroying its Own Infrastructure. Hamas built an extensive offensive network of tunnels into Israel which originated in many private homes. By relying on Israelis sensitivities to minimize destruction in civilian neighborhoods, Hamas was able to protect many tunnel openings. Further, Hamas and other Palestinian Arab groups often booby-trapped homes from which they attacked Israel. While the Palestinian Arabs destroyed their own infrastructure, they slowed down and killed many Israelis who looked to root out the attackers. United Nations. One of the principal methods that the Palestinian Authority uses to defend its population is through global bodies AFTER a war. The United Nations includes 57 Islamic countries (in the OIC) and 22 Arab countries (in the Arab League) which align themselves with the Palestinian Arab cause. Many of those countries do not even recognize the State of Israel. They were instrumental in passing the “Zionism is Racism” resolution in 1975 and creating several committees devoted only to Palestinian causes. The Palestinians turn to the UN to highlight the damage that Israel inflicts on its intentionally defenseless population. It uses deliberate attacks on Israel to provoke premeditated casualties to show the world. This same UN has not condemned the Palestinian Authority for not properly defending its population. Instead, it recommended the incredulous idea that Israel must give the Arabs the defensive systems like Iron Dome that it developed. The latest forum that the Palestinian Authority has pursued is the International Criminal Court, the ICC. While it is evident that the Palestinians Arabs definitely committed war crimes in the 2014 War against Israel, it would still sue Israel in the hopes that such action will hurt Israel, further its cause and protect the Palestinian Arabs. As detailed above the two sides in the Israel-Palestinian Authority conflict have disproportionate defenses. A discussion of “disproportionate force” cannot be made in a vacuum without discussing “disproportionate defenses”. The global community cannot continue to sanction the acts of a leadership that deliberately deals in its own premeditated casualties. Summary: The New York Times continued to minimize pictures of attacks on civilians and assassinations around the world by burying small pictures deep inside its paper. 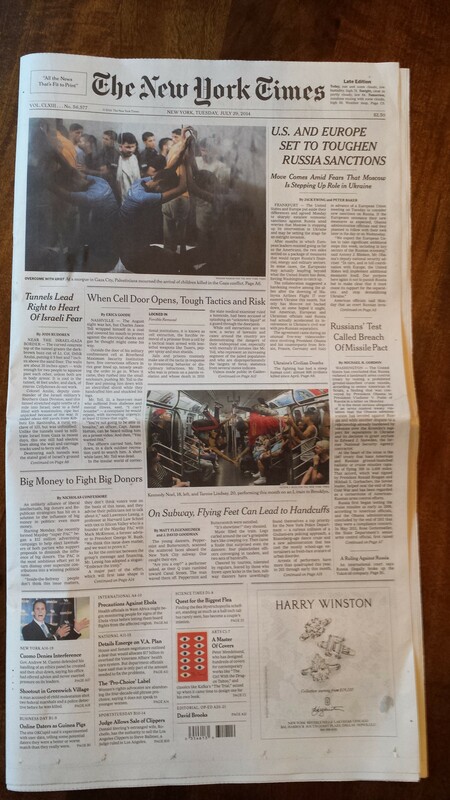 The precious front page ink was only reserved for portrayals of Israel as the aggressor. 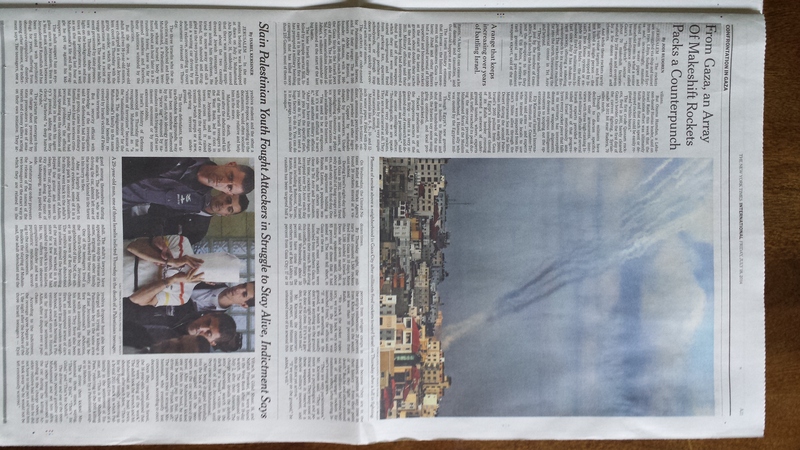 “Every Picture Tells a Story, Don’t it?” reviewed the New York Times’ use (and lack) of pictures of the three murdered Israeli teenagers in the summer of 2014 on the front page of its newspaper, while showing the Arab family whose son was killed. 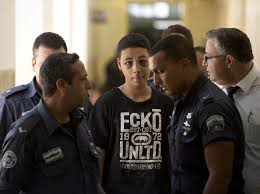 “Every Picture Tells a Story, the Bibi Monster” reviewed how the NYT showed a large color picture of a Palestinian Arab teenager injured by Israeli police on its front page, while small pictures of mass murders in Kenya, Uganda and Yemen were found inside the paper. Further, pictures of Israeli PM Netanyahu repeatedly showed up next to pictures of injured Arabs, while no member of the Palestinian Authority or Hamas ever made it to the front pages during the entire Operation Protective Edge. “The New York Times Buried Pictures” analyzed the puzzling lack of exposure of the Hamas terror tunnels from Gaza into Israel, which were the primary reasons for the Israeli ground offensive into Gaza. “The New York Times 2014 Picture of the Year” wrapped up these observations, noting that the New York Times used large color photographs on its cover page of injured Palestinian Arabs repeatedly – on July 11, 14, 17, 21, 22, 24 and 29 – while continuing to hide pictures of Palestinian Arab aggression, and attacks in conflicts around the world. The Times continued preference for ignoring mass killings and assassinations in the world continued into 2015. These articles were found buried in the paper. The associated pictures were relatively small and several were in black and white. No picture showed the victims injured or hurt. This is not a new phenomenon. The Times often minimizes attacks that occur in the MENA (Middle East/ North Africa) region. The exception to the rule, is if Israel is the attacker. Natan Sharansky, a famous Jewish refusenik who was jailed in Russia for trying to move to Israel, developed a three part “3D test” to determine anti-Semitism: Double standards; Demonization; and Delegitimization. Many liberals disagree with this approach and feel that double standards do not convey anti-Semitism. The liberal argument is that Israel should not be held to the same standards as Yemen, Iran, Iraq, Kenya, Saudi Arabia and the many countries in the Middle East, let alone terrorist groups like ISIS and al-Shabab. 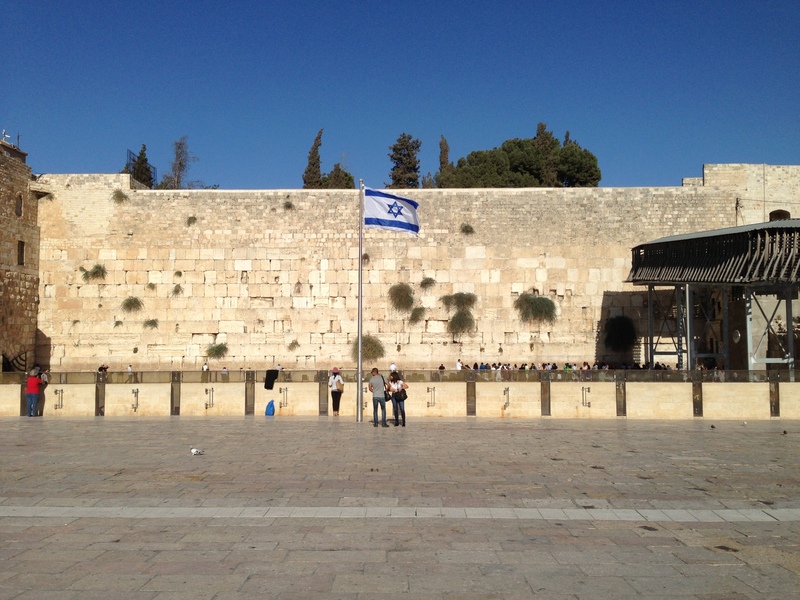 As Israel is a modern progressive country, the standards should be more akin to the USA or Western Europe. But that argument falls flat in general, and in particular, regarding the New York Times coverage of Israel. First, the situations are not remotely comparable. The US and Western Europe do not sit in the middle of the Middle East, surrounded by a combination of: war; terrorist groups operating freely; countries and entities that threaten to destroy their countries; and constant attacks on its citizens. It is easy to be judgmental while lunching in Luxembourg. However, Israel is forced to fight and defend itself repeatedly because of the volatile neighborhood and hostile attitude of its neighbors. Second, the New York Times uses a double standard for the US and its allies. The paper does not treat the war effort of the US and Europe which have opted to fight battles thousands of miles from their borders, in the same manner as Israel fighting to defend itself. The NYT never posted a picture of President Obama next to the victims of a drone strike (which the president actually authorized) as it does with PM Netanyahu (for general military actions). It does not show pictures of civilians killed by US troops. 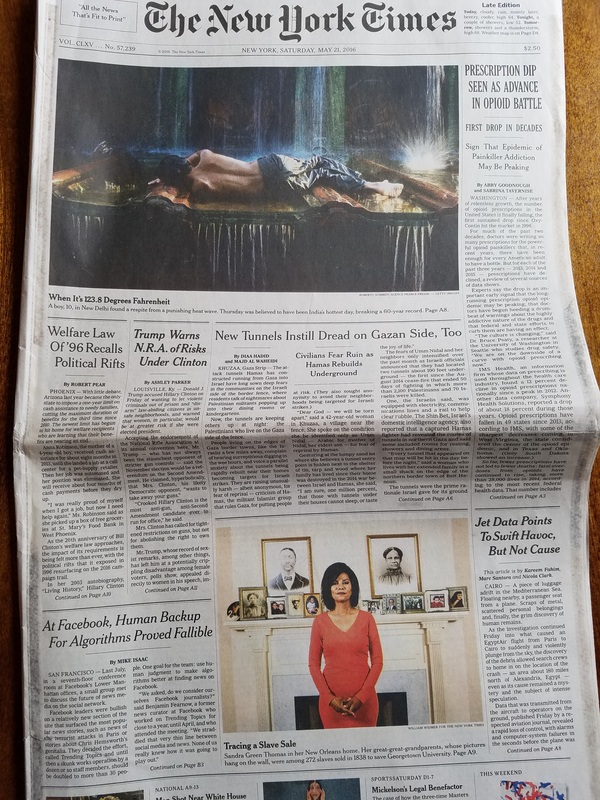 It minimizes the pictures of terrorists killed by the US and its allies, using small black and white photos in the middle of the newspaper, rather than large color photographs on the front page as it does for Israel. Third, the NYT and many liberals do not only use double standards, but demonize and delegitimize Israel as well. The unique focus on how Israel defends itself is one thing (double standards). Uniquely showing pictures of injured Palestinian Arab victims alongside pictures of Israeli leaders and weaponry is demonization. Simply compare the natural human reaction of looking at a small headshot picture of an al Qaeda leader (accompanied by an article that the United States killed the person), to a collage of pictures of injured and killed Palestinian civilians alongside pictures of Israeli military personnel and another of the Israeli Prime Minister. A person would likely skip the article buried in the paper that only has a head shot. But the large color collage of pictures on the front page delivers a biased story that is impossible to ignore: that the Israeli government is responsible for sending its army to kill civilians. Further, consider opening the pages of paper and seeing a smoke trail coming from Gaza (the closest the Times came to showing Hamas militants firing weapons). The accompanying article refers to the people in Gaza providing a “counterpunch,” making the group appear as the victims instead of the party that initiated the fight. Imagine if the Times had shown pictures of the missiles Israel used to “tap” the roof of targeted homes to let the occupants know that a real explosive was coming so they could flee. Imagine the Times showed pictures of the thousands of leaflets that Israel dropped on certain neighborhoods urging residents to leave an upcoming battle zone. Imagine pictures of Arabs holding cellphones far from the military action, because they received calls from Israel to move to safety. You would need to imagine such images, because the Times does not print them. The defensive nature of Israel’s war against Hamas was delegitimzed by the Times because the paper did show pictures of Hamas leaders, nor its tunnels and weaponry. Without the clear imagery of the three slain Israeli teenagers and Hamas terror tunnels which were the causes for the war, the reader was left with an impression that it was a war of choice for Israel. Cover page pictures of injured Palestinians were coupled with articles under the headline “Confrontation in Gaza” as opposed to “War FROM Gaza,” left the reader with the incorrect conclusion that Israel as the big belligerent party. The Times 2014 war coverage failed on all parts of the “3D Test” for anti-Semitism. 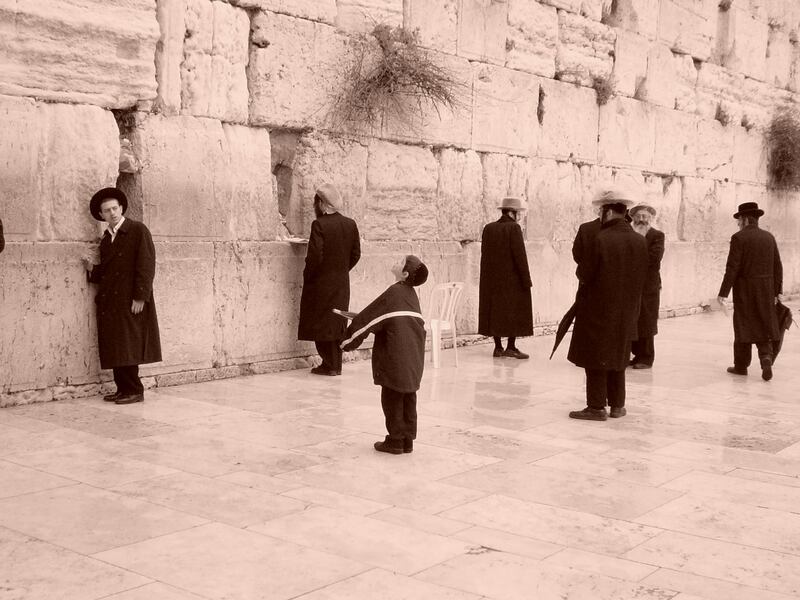 Now, in 2015, the Times photo editor has taken time off since Israel is not at war. Attacks around the world continue to be buried inside the paper. Without images of Israel as the aggressor, more neutral and natural images cover the paper, such as shipwrecks in the Mediterranean, earthquakes and volcanoes. It is time that everyone join the effort of pointing out to the Times its 3D failures, rather than just a handful of outlets like CAMERA, Honest Reporting, StandWithUs and FirstOneThrough. In reality, it was the US that was to blame. The US did not fail for lack of effort. It did not fail in trying to find creative solutions. It failed because the entire basis of having negotiations in the current format was a fool’s errand. The process was doomed from the outset because Secretary Kerry deliberately ignored Negotiation Rule 101: negotiations between parties that can deliver. A negotiation between parties without authority is meaningless. A person without authority or control could theoretically promise anything – but deliver nothing. That was precisely what Secretary Kerry insisted upon when he pushed Israeli Prime Minister Benjamin Netanyahu to negotiate with a straw man named Mahmoud Abbas. Abbas has no mandate. Mahmoud Abbas was elected to a four year term as president of the Palestinian Authority in January 2005. After his term expired in January 2009, no new elections were held. He no longer has a mandate. Abbas has no backing. The reason that no new elections for the PA have been held is that everyone knows that Abbas and his Fatah party would lose. One year after Abbas won the presidency, his Fatah party was trounced in legislative elections. Hamas won 58% of the parliament. Every poll taken since then has shown that Abbas would lose in a presidential election. Abbas has no control. Gaza, with its population of 1.7 million people, is under complete control of Hamas. Hamas routed all PA forces in 2007 and Abbas has no ability to control any activities from the region. Hamas controls thousands of missiles which it fires at Israeli population centers with or without Abbas approval. Therefore, what “peace” can Abbas deliver? Despite these enormous glaring flaws, the US pushed forward a peace process that was doomed from the start because of the very essence of one of the negotiating parties. Netanyahu was forced to sit across from a counter-party who could not deliver any compromise that he may have offered. As Netanyahu’s authority was clear, any negotiating point that he made was secure; Abbas could “bank” every concession. However, any compromise that Abbas would theoretically offer, could be negated by the Palestinians. Just as the Palestinians complained that they were never asked about the British Mandate in 1922, they could once again complain that the public was never consulted about the peace process, as a mothballed politician without backing negotiated the agreement. Further, Abbas’ lack of control meant that he had no means of enforcing the agreement. Israel would be left (at best) with making peace with those parties that accepted the peace agreement, but still be at war with those that rejected the agreement. With Abbas unable to enforce the compromises and the peace, it would continue to fall on Israel to confront those Palestinians that were still at war with the country. Noting how the world reacted to Israel’s defensive operation against Gaza in 2014, could Israel have any sense of security that it could effectively counter-act Palestinian aggression post a mock peace deal? Secretary Kerry compounded the mistake of the bogus negotiation by building up expectations. His earnest and persistent involvement aggravated the talk’s failure. By investing so heavily in the process, Kerry made the failure that much more pronounced. While there was no direct line linking the talk’s collapse to the July-August battles with Hamas, the environment was poisoned. Abbas’ call to Jihad is to put Fatah into the mainstream. According to the Webster dictionary, “mainstream” means “a prevailing current or direction of activity or influence”. Dictionary.com defines it as “belonging to or characteristic of a principal, dominant, or widely accepted group, movement, style”. Further, the trend of the polls shows Fatah continuing to lose support. In legislative elections, Fatah support declined from 43% (March) to 40% (June) to 36% (September). It is Hamas, not Fatah that represents the “current direction or influence” of the Palestinians. The Palestinians still want a war against Israel. Post Operation Protective Edge, over 79% of Palestinians want rocket fire to continue from Gaza into Israeli cities. Over 25% of Palestinians – in every Palestinian poll taken throughout 2014 – want a complete destruction of Israel. Abbas knows this, and has used his soapbox afforded by his phony presidential credentials to incite more anger and violence as the Palestinian masses desire. Abbas and Fatah may eventually find their way to the “mainstream” of the Arab public by waving the banner of Jihad, just as its rival Hamas proclaims in its charter.